Anyone at University? How do you finance your Airsoft? 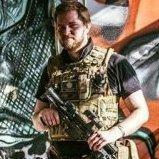 I am heading to Uni shortly and have no idea if it is financially viable to do airsoft, I have a part-time job at the minute and will have no financial backing when I head there. I will need to buy a new rifle soon as well as all the other bells and whistles. Do you still have enough left after you pay for accommodation and food and all them sort of things? Might also be worth looking at sponsorship or external grants that might be available in your area. I stayed at home so I didn't have to worry about that stuff lol. If you qualify for the full amount of grant and loan you can end up with over £6k from what I'm aware. If you're lucky accommodation won't be much more than £3-4k, when I did my first year it was £2100 for uni digs..
Don't buy expensive food e.g. finest and the best.. don't drink every night and you will have a fair amount of change.. I didn't start airsoft until Uni. Which uni you off to? And thanks alot coke, she was well worth the £50 i paid, free and quick delivery. The NHS are a great service! Whatever my kids want, and despite them all working, they just look sad and ask Daddy, foolishly from my point of view, it usually works. Loans get you so far, but actually have a little bit of extra income from a job helps a damn lot. Check whether or not the University has a student union airsoft society, normally you can get grant money to fund the society which will help towards things like transport cost and possibly equipment that can be shared with other members. If there is no society, club together with some friends and start one. When I was at uni I used to do crappy temping jobs in offices during the holidays, saved all the money and used it to fund fun things when I was back at uni... that said, I still came away with a three grand overdraft! The best way to afford anything extra is to get a part time job, debt is bad! I was thinking of getting a cheap CYMA AK and then saving what ever I have at the end of the first year for something else a bit fancier. I'd recommend putting some money away as soon as you get it, that way you don't spend it accidently etc. I currently save at least £30 every 2 weeks on buying 'cheap' food. To me, it tastes better and pays for a months worth of skirmishes, so its a win win for me. Gun wise, you want something that's cheap.. reliable.. common replacement/upgrade parts and inexpensive to repair (if it does go wrong, fingers crossed it doesn't). From personal experience, G&G Combat Machine or CM16 is perfect for this. Buy BBs in 'bulk' meaning you have to pay more upfront, but in the long wrong saving money, not much, but its still saving a couple quid (cost of a grenade or two etc.). Also, with the BBs, limit yourself on taking 4000 to a skirmish or something similar, that way you are not spunking them away like I used to. That used to cost me an absolute fortune Im a student whilst working part time, thankfully able to fund this expensive, but frigging awesome hobby. Hope a couple of these ideas helped mate, all the best to you. Another thing with the buying BBs in 'bulk', if you have a friend who plays airsoft with you, go halves with each other. That way the cost upfront is less.